We provide professional custom framing services to a wide range of corporate clients, including interior designers, professional photographers, commercial galleries, universities, large companies and small businesses. We understand that corporate framing can mean just one frame or up to hundreds of frames. Our workshop is equipped to deal with large orders and there is no job too big or small. We understand that the corporate world is fast paced and we do our utmost to work with you in achieving the professional results you need to deliver in a tight deadline. To make your job easier we can have your photographs printed for you. We work with professional photographic labs to have your photographs printed to a professional standard. Plaques are a fantastic way to make your frame look professional and impressive. 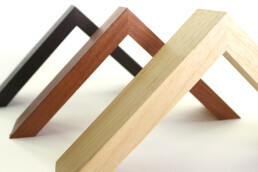 We are happy to organise plaques for your project and offer a range of finishes to suit all kinds of applications. We realise the logistical challenge of transporting frames while you are working can be frustrating. 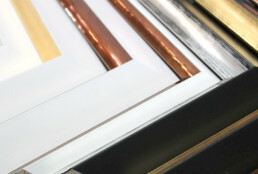 If picking up your framing is a problem, we are happy to organise the delivery of your work. The hanging of artwork is a real art in itself, and that’s why we recommend your artwork be hung by hanging professionals. 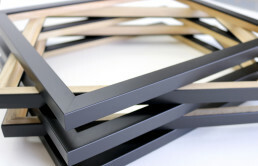 If you would like to have your frames hung professionally we can organise that for you!